It's that time of week again when we get to indulge in our voyeuristic tendencies! Now, now....not what you're thinking! 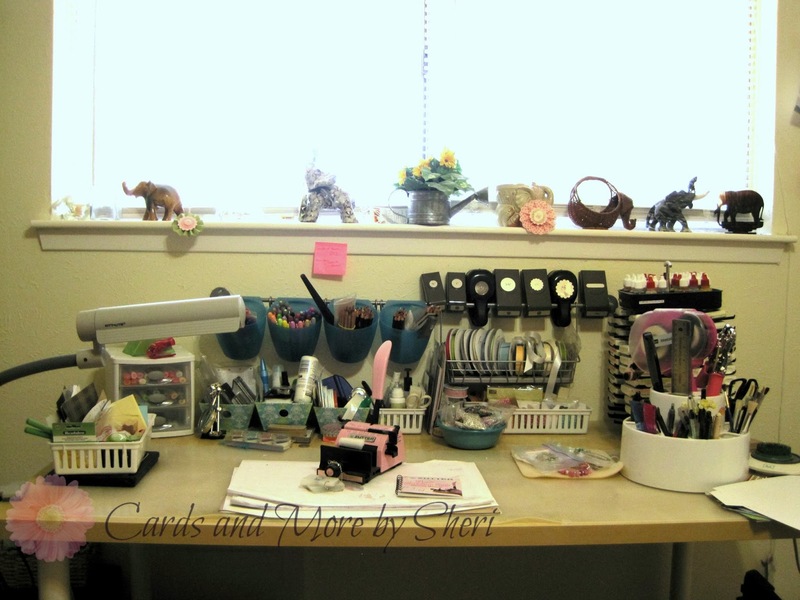 We're going to take a peek at other crafty desks around the globe, of course! This is all courtesy of Julia at Stamping Ground. Make sure you pop over there and check it out. This picture represents two things. One - that I am capable of cleaning off my work table! And two - that one of my goals over the next few days is to figure out how to use my Bind-It-All. Have you ever thought you just really NEEDED a new crafty tool? Thought that you just couldn't LIVE without it? Then when you got it finally, you didn't even use it??? GASP!!!!! Well, that's what happened with me and my little pink B-I-A. I had been wanting one for months and months and finally scored a deal at one of those "daily deals" site. I was sooooo excited. Sadly, that was ages ago and I've never even used this little cutie! I hereby vow to learn to use this machine and put it to good use in 2014!! Do you have a binding system? If so, which one and how do you like it? Please comment below and feel free to leave me advice on using the Bind-It-All!! On another note, do you remember the new Copic Sketch markers that I got for Christmas? I thought you might like to see what I did with some of my learning experiments. I turned them into cute little 3 X 3 cards. Love them! 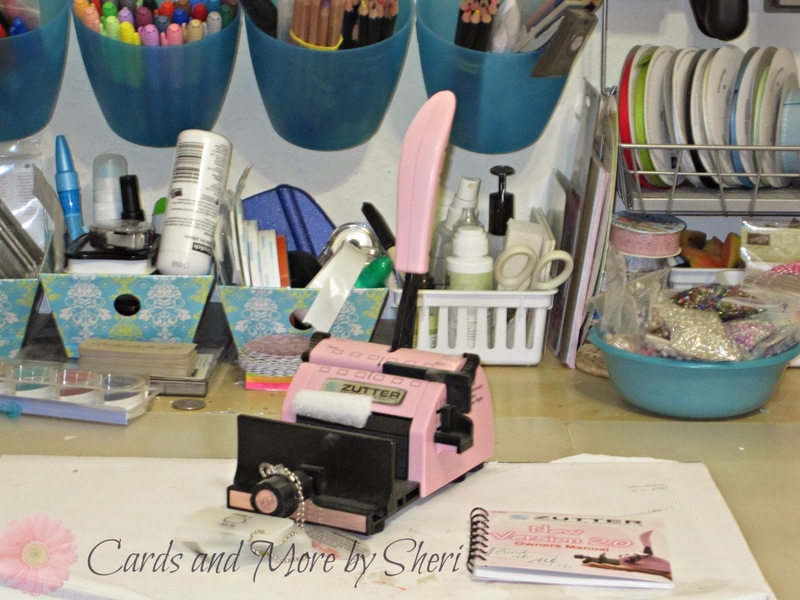 I DO understand about those NEEDED tools...my newest one, the Cricut E2, is getting a lot of use, though. The XYRON sticker maker things, though, I don't EVER use. Double stick tape and dot rollers for me. Can't wait to see your bound project!